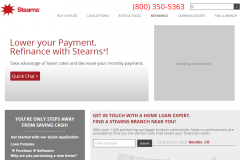 Stearns Mortgage wanted a completely redesigned web site. 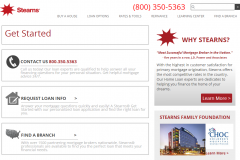 It was important to them that mobile work perfectly, so we used a mobile first approach on this project. We were provided with wire frames and made the site match those wireframes. The site was designed to contain many reusable elements.